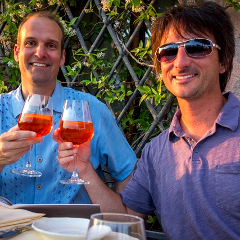 As should be after all major announcements, Microsoft’s Joe Belfiore and Chris Shields from Nokia sat down at the drinking dinner table and gave reporters some pep talk on the Lumia 1020 and Windows Phone is general. The other interesting part is that the ever-flamboyant Chris Shields hinted, just like CEO Elop yesterday, that there’s more where that came from, and promised at the end: “Yep, as amazing as this is, we still have some stuff up our sleeves. We’re not gonna sit still, ” making us wonder whether the next major announcement from Nokia won’t be the phablet we saw recently, or a Windows-based tablet. Hit the link below for the full interview if you are interested in the rest of the pep talk.